5 - 7: Great for temperatures 15°-30°F. 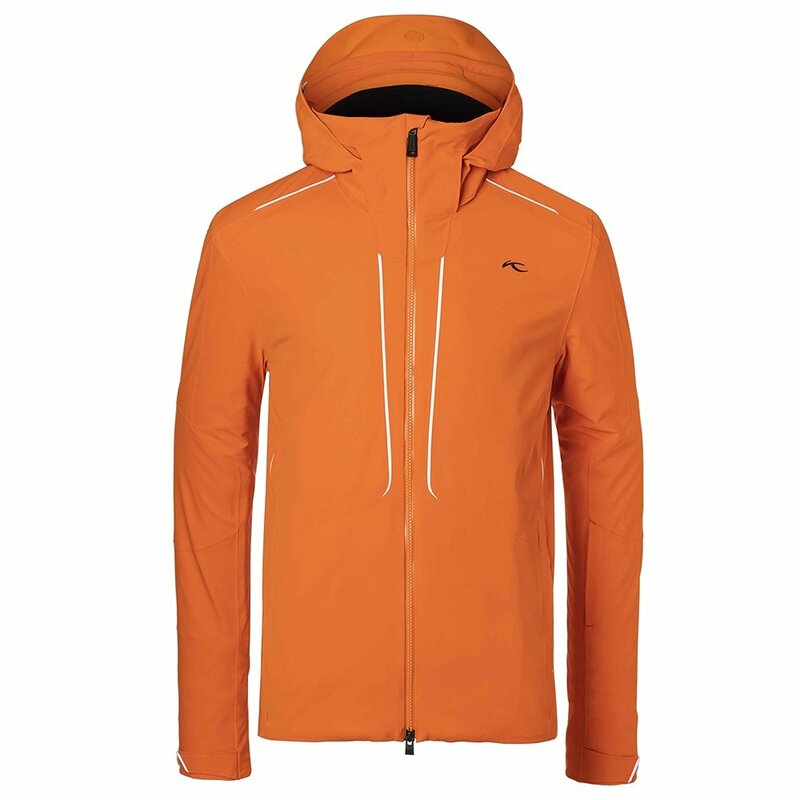 A rock-solid jacket without the fuss, the KJUS Boval Insulated Ski Jacket always has your back. This reliable ski companion puts up a full 20Kf waterproof rating, along with 20K of breathability, keeping you dry from both sides. Its poly-stretch fabric and lining combine to keep your movement sharp and precise through every carve and turn. The one-hand-adjust hood, Velcro® cuffs, and hem adjustment provide custom-tailored fit for better comfort, weather protection and style. "Hi, I haven't bought KJUS before and not sure about the sizing. I am 6'1" and 180 pounds. should I get a size 42 or 44? thanks"
"Thank you for your inquiry. Unfortunately, we cannot provide you with sizing related answers based on your height, weight and age. We recommend taking a look at the KJUS size chart for accurate measurements. We hope this information helps! "